Photography is a big hobby of mine, and i always carry a camera when hiking and skiing. 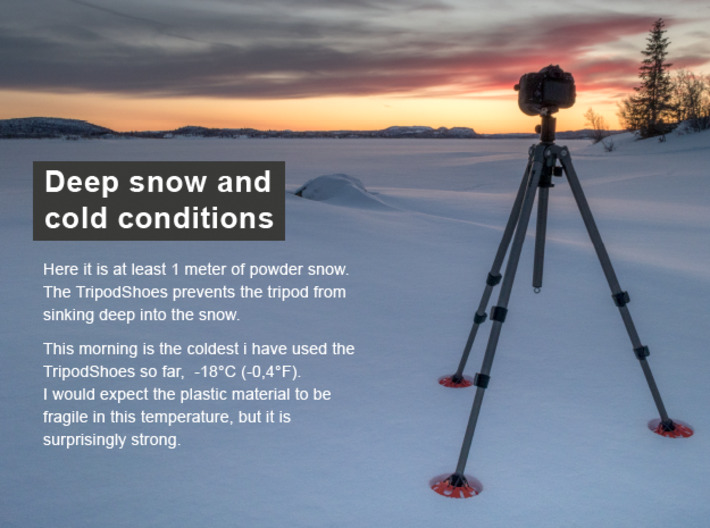 Deep snow or muddy ground is challenging if i want to use a tripod. 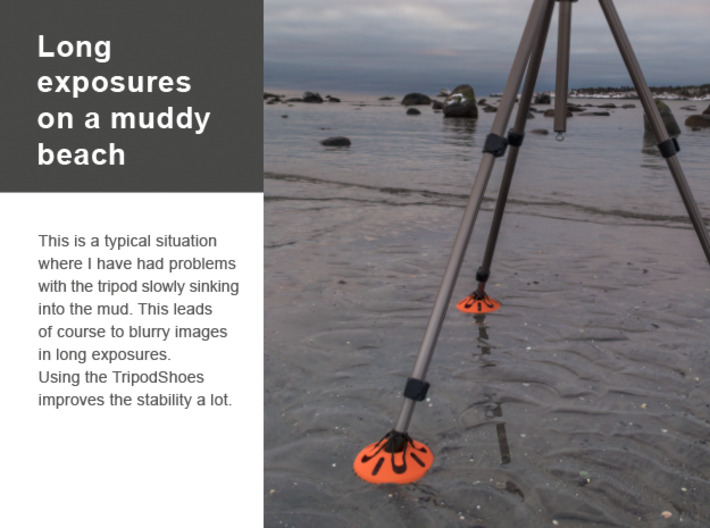 Mud makes the tripod slowly sink, and long exposures typically gets blurry. In powder snow the tripod sink deep and it is generally hard to handle. 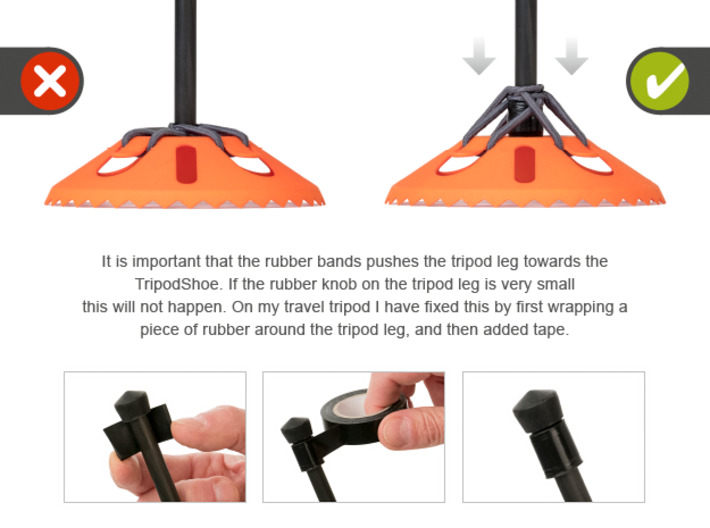 I designed the TripodShoes to help in these situations. 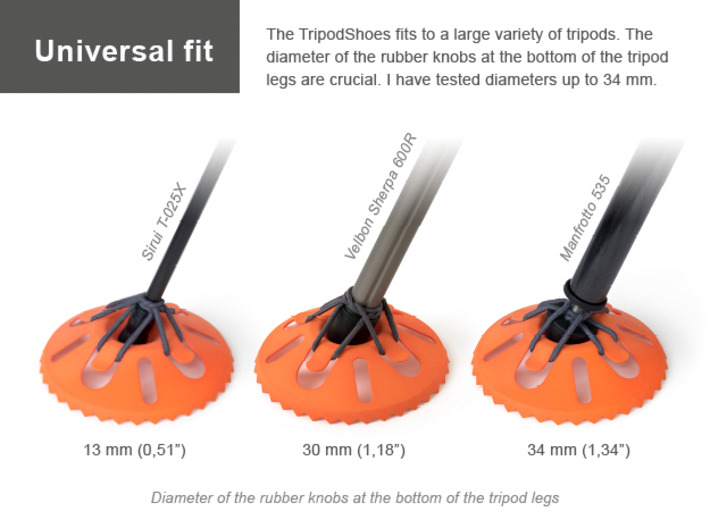 To me it is crucial that they are lightweight, compact and fits all my tripods. 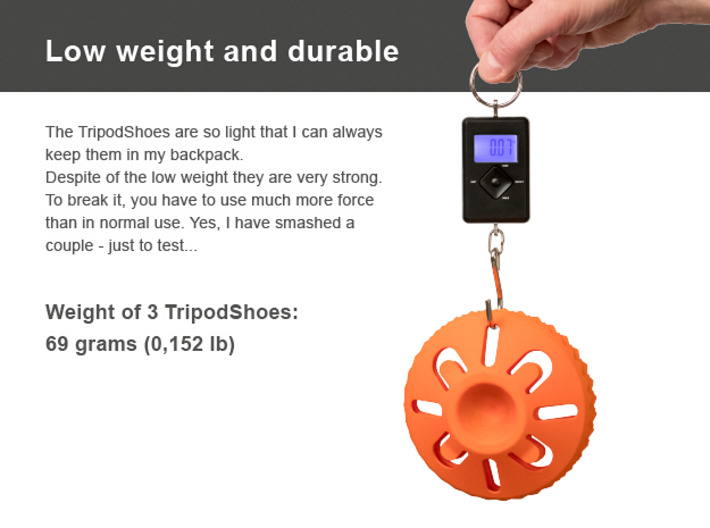 The weight of 3 TripodShoes is only 69 grams! 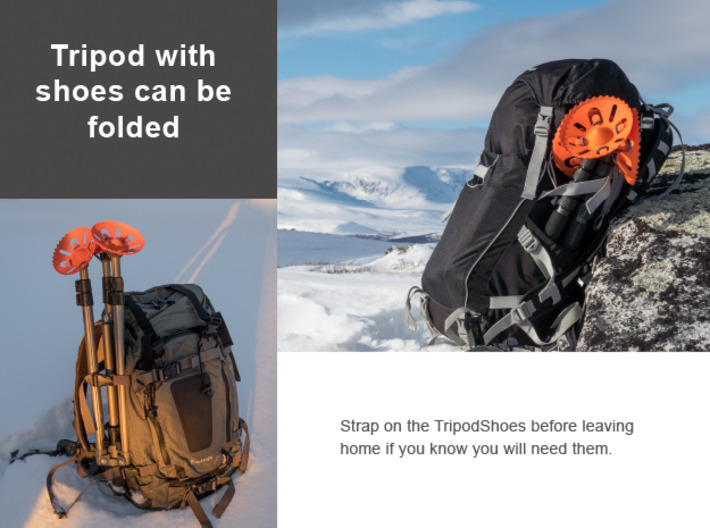 This makes it possible to always have them availible in my backpack without weighting me down. 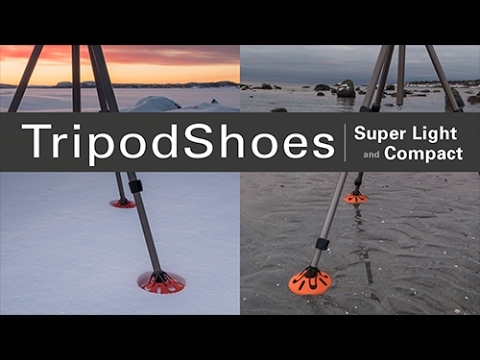 I have tested the TripodShoes for more than a year now. 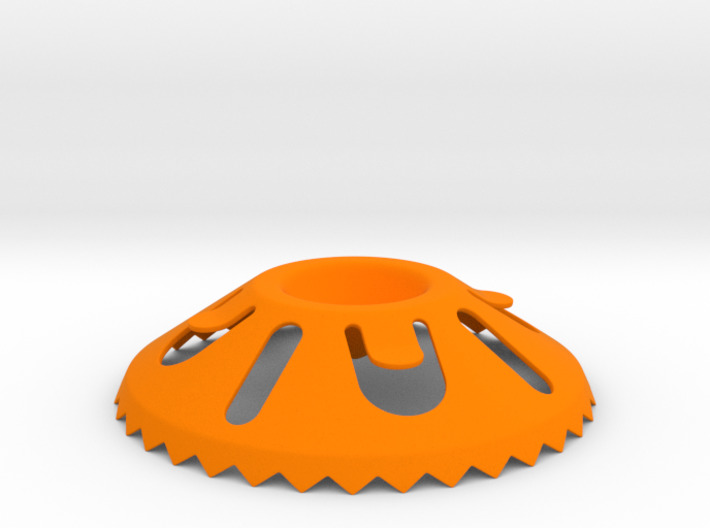 Some improvements have been made, and the current version works very well for me. 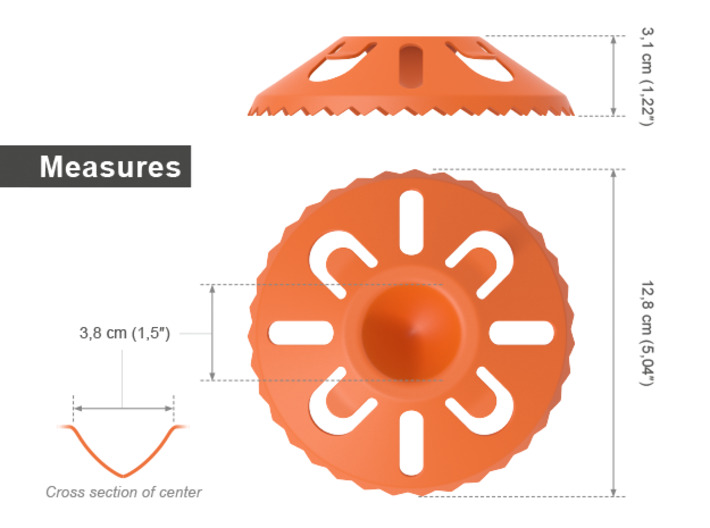 More information in the images above. 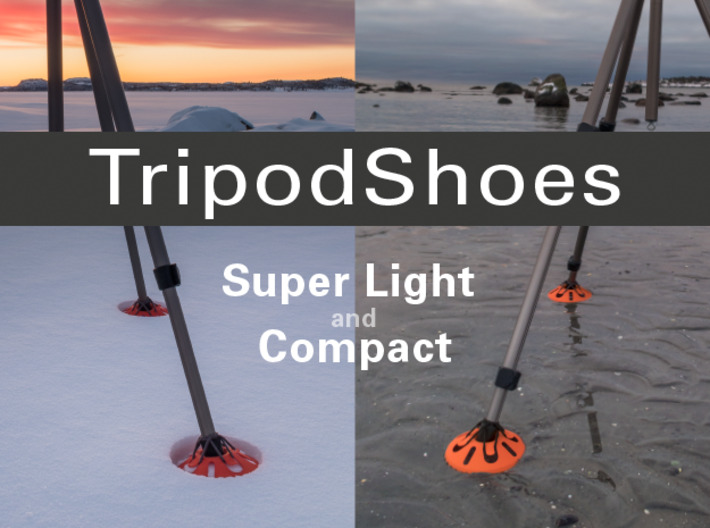 You have to order 3 x to get a set of 3 TripodShoes! 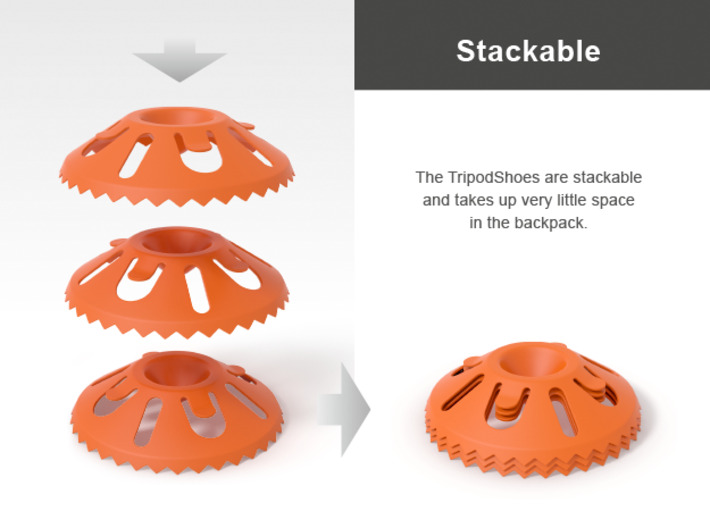 Because the TripodShoes are 3D printed and sent directly from Shapeways, rubber bands are not included. 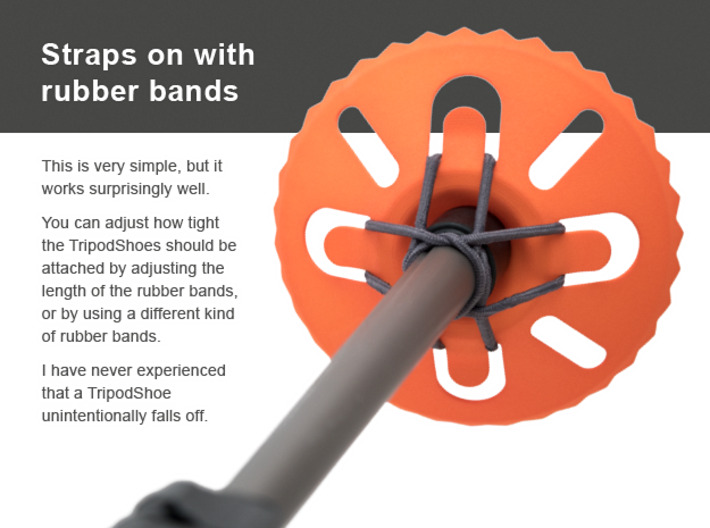 Most rubberbands can be used so it should not be a big problem. 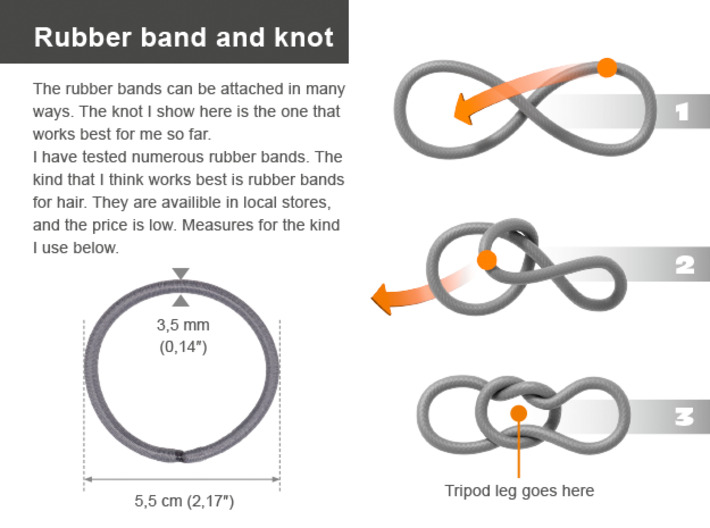 Tips and information concerning the rubber bands in the images above.